If I qualify for travel via the General License, can I take my family on the trip? As a college or university professor, can I take my students on legal Cuba tours? Into how many provinces is Cuba divided? Is Cuba a Caribbean country? How large is the Cuban population? What was the Platt Amendment? When did Fidel Castro take power? What is the Cuban Missile Crisis? Does Cuba allow foreign investment? 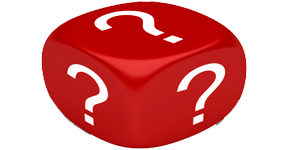 What branch administers law in Cuba? What is life expectancy in Cuba today? What’s the largest religion practice in Cuba today? What is Cuban culture like? Why was the National Literacy Campaign of 1961 so important? What are the new mandatory Cuban medical insurance requirements to enter Cuba? Do I need a passport to go to Cuba? Do I need to apply for an extension of my visa if I want to stay one more week? Where can I get my visa (tourist card)? Do I need travel and medical insurance to go on your tours? I have to take specific medications (syringes & needles) with me. Is that a problem? Is it safe to drink tap water in Cuba? What items are not allowed to bring into Cuba? Are Cuban cities safe to walk on my own? What happens if I need to cancel my participation in one of your tours? How comes my deposits are non- refundable but good for life? So what is exactly a lifetime transferable deposit? When is the balance of my tour payment due? Is my air ticket refundable? How is your company different from other Cuban travel providers? Are you a legal operation? What type of private information you collect from us? Yes, you do. A valid passport is required for all foreign nationals intending to visit Cuba. 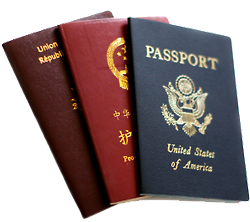 The passport must be valid for at least one month beyond the date of your expected departure from Cuba. Foreign nationals must also carry a tourist card (or visa), or a business or student visa. The tourist card is generally provided by airlines, or can be obtained from a Cuban government office abroad in the case of privately organized flights. It can also be purchased at certain airports in Canada, and abroad. No, you don’t. The tourist card allows its holder to stay in Cuba for 90 days from the date of entry into the country, and is valid for 1 entry into Cuba. For a stay of more than 90 days, you can request an extension of another 3 months at any tourism office in Cuba, for a maximum stay of 6 months. Children, regardless of their age, also require a tourist card, even if they are registered on their parents' passports. The tourist card is generally provided by airlines, or can be obtained from a Cuban government office abroad in the case of privately organized flights. It can also be purchased at certain airports in Canada, and abroad. Note that a tourist card is only applicable when you are staying at a hotel or at a private house legally renting in Cuba. If you want to stay at a friend’s place you should apply for a Personal Visa. No, travel and medical insurance is optional; except for Asistur Cuban Medical Insurance which is mandatory to enter Cuba. Most US airlines include the cost of Asistur Cuban Medical Insurance in the cost of your ticket. Please, double check with your airline about this requirement. If Asistur Cuban Medical Insurance is not included by your air carrier, please contact us to secure it through us at an additional cost. 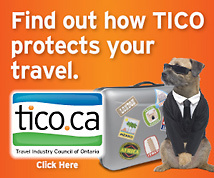 Travel insurance may not be needed but we strongly recommend it for our traveller’s own safety and peace of mind. By having cancellation and medical coverage you do not need to worry about emergencies that can happen anytime, anywhere, before or during your trip. Please, contact us for further information or visit our Travel Formalities- Insurance page. Please, do bring adequate supplies of all medications in their original containers, clearly labelled. Carry a signed, dated letter from the primary physician describing all medical conditions and listing all medications, including generic names. If carrying syringes or needles, be sure to carry a physician's letter documenting their medical necessity. Pack all medications in hand luggage. Carry a duplicate supply in the checked luggage. If you wear glasses or contacts, bring an extra pair. If you have significant allergies or chronic medical problems, wear a medical alert bracelet. Do not drink tap water unless it has been boiled, filtered, or chemically disinfected. Do not drink unbottled beverages or drinks with ice. Do not eat fruits or vegetables unless they have been peeled or cooked. Avoid unpasteurized milk and any products that might have been made from unpasteurized milk, such as ice cream. Avoid food and beverages obtained from street vendors. Do not eat raw or undercooked meat or fish, including ceviche. Some types of fish may contain poisonous biotoxins even when cooked. Barracuda in particular should never be eaten. Other fish that may contain toxins include red snapper, grouper, amberjack, sea bass, and a large number of tropical reef fish. Please, do notice that in our trips, all included meals are served in places that meet food and water precautions. No vaccinations are required to enter or travel to Cuba at this moment. However, we advice you discuss vaccinations with your doctor or a travel clinic, as it could be a benefit both at home and abroad. Do review vaccinations and all other travel health concerns with your doctor or a travel health clinic at least 4 weeks in advance of day of travel. up to 10 kg of medicines if taken in a separate baggage. Passengers older than 10 years of age, can import goods up to a value of USD 1.000-subject to customs duty payment every time arriving to the country. books and articles for teaching purposes. Passengers may carry, exempt of payment of Import Duty, up to 25kg of miscellaneous articles considered as personal belongings despite of the fact that they may use them or not. If a passenger is carrying an amount in cash exceeding USD 5,000 or the equivalent amount in other currencies when entering Cuba, Customs Declaration must be presented. household appliances (freezers with a capacity exceeding seven cubic feet, air conditioners, any type or model of electric accumulators and heating/cooking plates, electric and microwave ovens, any type or size of electric frying pans, electric water heaters and showers, electric irons and toasters). Passengers importing to Cuba other articles in addition to their personal items must fill out a Customs Declaration providing all the information required in this document. All Cuban cities are quite safe as they are relatively free from the well-known street dangers encountered in other countries. The Cuban people themselves and travelers can equally walk the cities and streets day and night without having to be concerned about criminal behaviour. Care should be taken against pickpockets in crowded places like public buses, discos, bars and theatres. 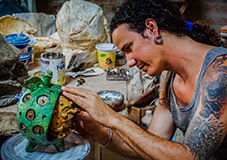 Still, few travelers to Cuba will likely experience anything more than the nuisance of an occasional peddler of artefacts or a young hustler wanting to be your guide. Cuba is extremely safe by any world standards, and the average visitor has no reason to worry about personal safety on the streets, in the hotels, at the beaches or any other place a traveler might visit. What currency should I take? You can take any currency from your country of origin. However, you should only take bills and no coins as the latter is not accepted. Please, keep in mind that US dollar is subject to a 10% surcharge at time of exchanging into local currency. So we recommend taking Canadian dollars, Euros, Sterling Pounds, or another hard currency. Socks & Underwear (if you plan on wearing either!). Sea Socks (good for Catamaran Trips and exploring the island). Sweater (for cooler nights...hopefully you will never need it!). Rain Jacket (hopefully you will never need it!). Dress Shirt, Pants and Shoes (for A La Carte Restaurants and local Disco clubs...Cubans always dress their very best when going out in the evenings). Please, visit our Travel Formalities- Packing page for further information. There was a new political-administrative division of Cuba in 2010. Cuba is now divided into 15 provinces and 169 municipalities. The fifteen provinces are: Pinar del Río, Artemisa, Mayabeque, La Habana, Matanzas, Villa Clara, Cienfuegos, Sancti Spíritus, Ciego de Avila, Camagüey, Las Tunas, Holguín, Granma, Santiago de Cuba, and Guantánamo. Please, visit our Authentic Cuba Travel- Geography page for further information. Cuba lies south of the Straits of Florida just at the mouth of the Gulf of Mexico. The Atlantic Ocean is to the north and the Caribbean Sea to the south. With a land area of 110,860 km 2, Cuba is the largest, most diverse, and most beautiful island in the West Indies. It is 1250 km long and between 31 and 191 km wide. Cuba's climate is tropical and moderated by trade winds. The dry season lasts from November to April and the rainy season from May to October. The average annual temperature is about 77 degrees Fahrenheit or 25 degrees Celsius. Cuba has approximately 11.3 million inhabitants and is the most populous island nation in the Caribbean. Havana is its largest city with over 2 million and the country's capital. Other important cities are Santiago de Cuba (420 000), Camagüey (300 000), Holguín (230 000), and Santa Clara (200 000). Please, visit our Authentic Cuba Travel- Cuban People page for further information. Christopher Columbus discovered the island of Cuba on October 27, 1492, during his initial voyage to find a westerly route to the Orient. As gathered from his chronicles, the exotic beauty of the island left him absolutely spell-bound. In his essay about the discovery of Cuba, he passionately describes it as “ the most beautiful land human eyes have ever seen”. Please, visit our Authentic Cuba Travel- History page for further information. In December 1898 a peace treaty was signed in Paris by the Spanish and the Americans. The Cubans were excluded. The Spanish troops left the island in December 1898 and an American military government was immediately proclaimed in Cuba. After many years of struggle, the Cuban people had gained independence from Spain but found themselves under US military occupation for the next four years. The Republic of Cuba was proclaimed on 20 May 1902 and the Government was handed over to its first president, Tomás Estrada Palma. Although the U.S. forces withdrew from Cuba, the Americans retained almost total control over the Island. As a precondition to Cuba’s independence the US had demanded that the Platt Amendment be approved fully and without changes by the Cuban Constituent Assembly as an appendix to the new constitution. Under this amendment the US kept the right to intervene in Cuban domestic affairs "to preserve its independence". The amendment also allowed the United States to establish a naval base at the mouth of the Guantánamo Bay which they occupy to this day. The Rebel Army entered Havana on 8 January 1959. Shortly afterward, a liberal lawyer, Dr Manuel Urrutia Lleó became president. Disagreements within the government culminated in Urrutia's resignation in July 1959. He was replaced by Osvaldo Dorticós Torrado, who served as president until 1976. Fidel Castro became prime minister in February 1959, succeeding José Miró in that post. Please, visit our Authentic Cuba Travel- History page for further information. In April 1962, Soviet President Kruschev decided to install missiles in Cuba, which would be capable of striking anywhere in the USA. In October, President JF Kennedy ordered Soviet ships heading for Cuba to be stopped and searched for missiles in international waters. This lead to the Cuban Missile Crisis, which brought the world to the brink of nuclear war. Kennedy demanded the withdrawal of Soviet troops and arms from Cuba and imposed a naval blockade. Without consulting Castro and without his knowledge, Kruschev eventually agreed to have the missiles dismantled and withdrawn on condition that the West would guarantee a policy of non-aggression towards Cuba. 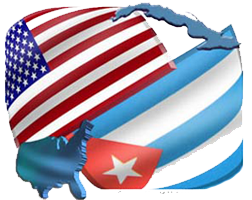 In November, Kennedy suspended the naval blockade but reiterated US support for political and economic aggression towards Cuba. A sharp fall in GDP of 35% in 1990-1993 due to the collapse of the Eastern European bloc and the loss of Soviet subsidies, accompanied by a decline in exports from US$8.1 billion (1989) to US$1.7 billion (1993), forced the government to take remedial action and the decision was made to start the complex process of transition to a mixed economy. To alleviate the economic crisis, from 1992 on the government introduced a few market-oriented reforms, including opening to tourism, encouraging foreign investment, legalizing the dollar, and authorizing self-employment for some 150 occupations. Please, visit our Authentic Cuba Travel- Economy page for further information. According to the Cuban constitution, Cuba is an independent socialist republic. The constitution describes the Communist Party of Cuba as the "leading force of society and of the state". The first secretary of the Communist Party is concurrently President of the Council of State and President of the Council of Ministers. Members of both councils are elected by the National Assembly of People's Power. The President of Cuba, who is also elected by the Assembly, serves for five years and there is no limit to the number of terms of office. Please, visit our Authentic Cuba Travel- Government page for further information. The Supreme Court of Cuba serves as the nation's highest judicial branch of government. Please, visit our Authentic Cuba Travel- Legal System page for further information. Please, visit our Authentic Cuba Travel- Health page for further information. The largest organized religion in Cuba is Roman Catholicism which was imposed to the island by the Spanish colonizers in the XV century. However the Roman Catholic Church has never been as influential in Cuba as in other Latin American countries and even before the Revolution, the Church was seen as the religion of the affluent. In the 1950s, approximately 85% of all Cubans were nominally Roman Catholic, but the Church itself conceded that only about 10% were active members. Please, visit our Authentic Cuba Travel- Religion page for further information. 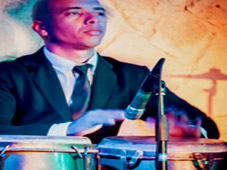 Since the revolution there has been a conscious effort to promote Cuban culture. Dozens of art schools were created, museums opened and theatre groups formed. The Cuban Film Institute and the National Cultural Council were founded. The National Ballet of Cuba has received international acclaim. Please, visit our Authentic Cuba Travel- Culture page for further information. The National Literacy Campaign of 1961, recognized as one of the most successful initiatives of its kind, mobilized teachers, workers, and secondary school students to teach more than 700,000 persons how to read and write. This campaign reduced the illiteracy rate from 24% to 3.9% in the space of one year. The campaign was followed up with continuing education programs to ensure that nearly every adult attained a sixth-grade level. Please, visit our Authentic Cuba Travel- Cuba Education System page for further information. There are two ways in which you can pay for your tour: Cheque (Check) and Credit Card. You can pay your deposit and tour balance by personal or company cheque, credit card cheque, bank draft, counter and officials cheques, and postal money orders. You can pay by credit card, just fill in our secure on line form or call us to provide us with your credit card information. Make a Credit Card Payment Now! 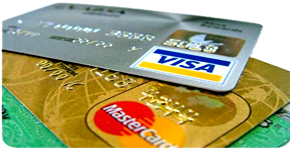 We are accepting credit card payments for airfare only. Cancellations and reimbursements for on ground tour costs. The following schedule for cancellations and reimbursements for on ground tour costs applies. If you purchase travel cancellation insurance and are unable to attend for reason of illness or injury, moneys paid can be claimed and refunded to you depending on the conditions outlined in your cancellation and/or travel interruption insurance policy. Cancellation 60 to 31 days prior to departure | Loss 50% of ground portion of tour. Cancellation 30 days or less prior to departure | Loss 100% ground costs (all payments). Air ticket cancellation, changes and air points. Unless otherwise stated all air tickets sold by Authentic Cuba Travel are not refundable. Air Canada tickets can be used for up to one year on the same route. A change fee applies. Date changes to tickets once issued incur a change fee and are subject to availability of new flight dates. Air Canada tickets often do not qualify for AeroPlan points unless upgraded to a higher ticket class and cost. Ticket quotations are valid for 48 hours unless noted otherwise. Personal responsibility required. We cannot offer refunds for participants who arrive late or depart early from any program, or for no-shows. Please, Contact Us for further information or visit our Authentic Cuba Travel- Terms & Conditions page. A non-refundable tour deposit of $300 is required at the time of registration to secure a seat in one of our tours. Registrations are processed on a first come, first served basis and subject to availability. Tour deposits will be returned if a tour is cancelled or the dates are changed. Tour deposits are non-refundable but will be honoured for life for your participation (or a person you designate) in one of our tours. Lifetime Deposits offers any of our tour participants forced to delay a departure to retain their initial deposit for use at a later date at no extra charge—and with no questions asked. The Lifetime Deposit policy allows you to save your initial deposit (one per person, per confirmed tour) for an unlimited time, be it 10 weeks or 10 years. Put simply, we want to do the right thing by our travellers and ensure you can still take another trip if your plans have to change. Under the new policy, Lifetime Deposits are also transferable. That means you can transfer your initial deposit to another traveller of your choice at no additional charge—is there any better way to give the gift of adventure? Balance of tour payment is due 45 days prior to departure. Registrations received and confirmed by Authentic Travel Group Ltd. less than 45 days prior to departure are payable in full at the time of confirmation. Unless otherwise stated all air tickets sold by Authentic Cuba Travel Group are not refundable. Air Canada tickets can be used for up to one year on the same route. A change fee applies. Date changes to tickets once issued incur a change fee and are subject to availability of new flight dates. Air Canada tickets often do not qualify for AeroPlan points unless upgraded to a higher ticket class and cost. Ticket quotations are valid for 48 hours unless noted otherwise. Unless otherwise detailed, your tour or Cuba-side costs include ground transportation and accommodations on the island, all breakfasts, lunches and dinners as noted in your itinerary (unless noted as not included), admissions and entrance fees (unless noted as not included), an expert bilingual guide/translator. Tour prices are based on double room (shared) occupancy. Specific inclusions and exclusions in the itinerary you have purchased will govern in all matters above. Even though each year over 4 million travellers go to Cuba, they hardly have the chance to get to know the authentic Cuba that lies beyond the confines of all-inclusive full-packed tourist resorts. Once they are back home, those visitors realized that they have hardly “visited” Cuba. It might have been a nice and low cost package vacation, but they do not know much about Cuba’s culture and its people. If you really want to visit the real Cuba, join one of our authentic Cuba tours. Our itineraries advance discovery, education, dialogue and experiential learning. Our goal is for our tour participants to get to know the real Cuba and its people. The quality of Authentic Cuba Travel's educational, cultural and nature Cuba escorted tours is unparallelled in the travel industry. Our tours are the result of the effort and direct involvement of local Cuban humanitarian and religious organizations, universities and colleges, tour companies, speakers, and small communities and other hosts in the design and operation of our programs. You're in good hands with our expert Cuban staff and guides– all of whom are fluent in several languages. They are young university graduates well versed in history, language and culture– recognized internationally as amongst the island's best. They have years of experience with North Americans and contribute enormously to creating an enthusiastic group dynamic. Together our Canadian and Cuba staff has decades of experience with educational and responsible tourism, and we are proud to assist visitors witness the authentic Cuba! Please, contact us for further information or visit our Why Authentic Cuba Travel? page. Yes, we are. Bella Travel Group Ltd. is a federally incorporated travel agency - corporation number 7653247- that also operates the trade names Authentic Cuba Travel Group (Ontario Registration number 251215125) and Hello Cuba Travel Group (Ontario Registration number 251215034). We may collect personal information from you or about you (and those travelling with you) either directly or through authorized third parties in person, over the telephone, in written documents, on the Internet, or through surveys, promotions or incentive programs. Authentic Cuba Travel offers the opportunity to the entrepreneurial individual to travel for free in one of our tours. You can put together a group of your friends and family around and start telling them about our amazing cultural and educational Cuba tours. If you get enough of them to join you on your trip, you can travel for free! In most cases all you need is 10 to join in the fun. Certain restrictions and conditions apply to each of these offers. Free travel refers to the tour portion of a trip and excludes airfare and extra costs such as gratuities. Please, contact us for further details. As of May 1, 2010, all island visitors are required to have official ASISTUR Cuban health insurance policies in place prior to arrival. Most US airlines include the cost of Asistur Cuban Medical Insurance in the cost of your ticket. If you purchase airfare with Authentic Cuba Travel, the Asistur Medical Insurance is already included in the cost of your ticket. ASISTUR is the official Cuban insurance agency providing medical coverage for island visitors. ASISTUR organizes medical services and support across the nation for travelers as needed. Emergency response is available 24 hours a day. ASISTUR coordinates services with many major medical and insurance companies globally. Medical care in hospital, clinic or home. Monitoring and attending to the patient's condition. Obtaining and issuing medical reports. Coordination of wheelchairs and medication. Coordination of air and land ambulance services. Monitoring and attending to a patient's condition while in transit. Airline flight bookings and transportation to the airport. Accommodation for health care providers. Authorization for air ambulance landing. Coordination of air and land ambulances. Assistance from air ambulance crew. Medical and legal procedures required for funerary services. Processing of documents with local and consular authorities. Airline booking and transportation to the airport. Dispatching appropriate documents to funeral provider.